Before this weekend, Bayern had won their last seven, whilst Dortmund had won nine from their last 10. It was surprising, therefore, to see them both fail to win their respective games in Matchday 20. For Munich, however, their 3-1 defeat to Bayer Leverkusen may be the first of several nails in their coffin. Their opponents’ league form has improved under new manager Peter Bosz, and their victory was fully deserved. Bayern’s loss meant that BVB’s 1-1 draw away at Eintracht Frankfurt was a point earned rather than two points dropped. This past weekend also saw Thomas Doll’s first game as Hannover manager. Unfortunately for him and his side, it was less new beginnings and more business as usual. Granted, they were facing RB Leipzig, who sit in fourth place, but their performance was worrying. In the end, the 3-0 scoreline was lenient on Hannover. They were found wanting time and time again, particularly from Leipzig corners, two of which lead to goals. They face Nürnberg, who drew 1-1 against Werder Bremen on Saturday, next week, in what is now a must-win game for both sides if they want to stay in the top flight. We cover all of the matchday’s action in this week’s episode. No In Depth section for you this time, but it will return next week. 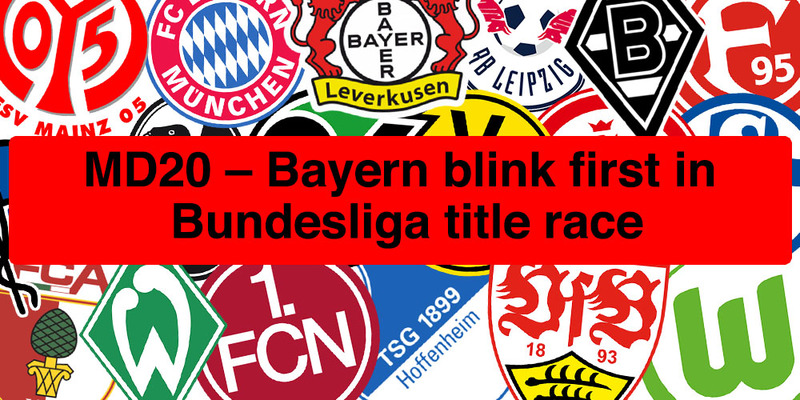 In the meantime, you can listen to one of our earlier episodes, in which we discuss the DFB Pokal. With the German domestic cup returning this midweek, it’s a good time to get to grips with the competition’s layout and history.